Ann Schreter, daughter of Louise and John Witlock was born on June 20th 1931. Ann grew up on a farm North West of Java, South Dakota. She went to a country school and Java High School (class of 1949). Following high school, she attended Northern University and received her teaching certificate. Ann taught country school for a few years. Ann married the love of her life, Harold Schreter, on November 11th 1951 at St. Paul Lutheran Church in Java, South Dakota. They lived on the Schreter farm until Harold was called to serve in the US Army in 1952 stationed in Fairbanks, Alaska. Ann returned from Alaska in 1953 and returned to farming until 2001 with her husband Harold. Ann and Harold moved to Selby in 2001 and continued to live there until moving in 2011 to Colorado (4357 Bramble Rd Frederick, Co 80504). She enjoyed teaching, gardening, homemaking and was active in Friendly Circle Extension Club, Ladies Aid Group and Sunday School teacher. Ann was a dedicated member of the St. Paul Lutheran Church in Java, South Dakota from 1945 to 2011. She will be remembered for her cooking, baking, thoughtful cards and spotless home. She had a special place in her heart for her grandchildren and great grandchildren. 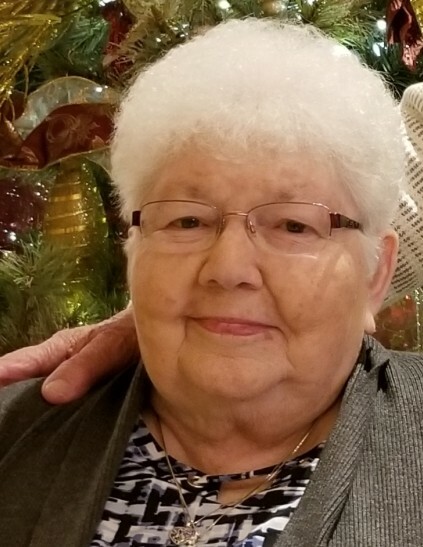 Ann passed away on Friday, November 9th 2018 at the Good Samaritan Hospital. She is survived by her husband Harold Schreter of 67 years; 2 sons and 2 daughters. Suzette Bocock, Frederick, CO; Bryce (Cindy) Schreter Lino Lakes, MN; Nancy (Joseph) Mikre Cedar, MN; Timothy (Penny) Schreter Frederick CO; Sister-in-law Anne Witlock; 10 grandchildren, 9 great-grandchildren, and many nieces and nephews. She was preceded in death by her father, mother, 2 brothers and 1 sister. Ann will be laid to rest at Black Hills National Cemetery in Sturgis, South Dakota. In lieu of flowers, the family requests donations be made to the Walworth County Care Center (WCCC) at Bank West, Box 433, Selby, South Dakota, 57472.